Terms & Conditions: *Finance offer based on a Mercedes-Benz Agility agreement. Vehicle condition, excess mileage and other charges may be payable. †Payable if you exercise the option to purchase the car. **Includes optional purchase payment, purchase activation fee and retailer deposit contribution (where applicable). *Orders/credit approvals on selected CLA models between 1 April and 30 June 2019, registered by 30 September 2019, excluding Mercedes-AMG models. Guarantees may be required. Offer cannot be used in conjunction with any other offer. Some combinations of features/options may not be available. Subject to availability. Over 18s only. Finance is subject to status and provided by Mercedes-Benz Finance, MK15 8BA. 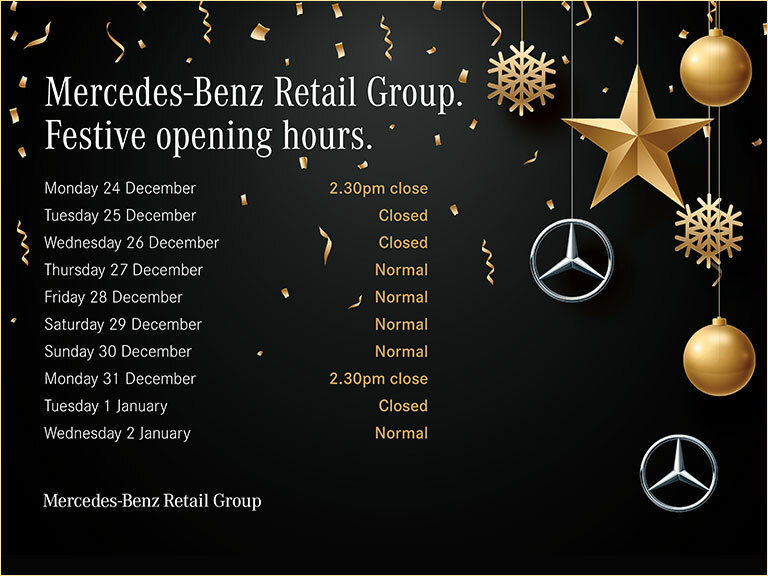 Mercedes-Benz Retail Group UK Limited is a credit broker and not a lender. Mercedes-Benz Retail Group UK Limited is authorised and regulated by the Financial Conduct Authority in respect of regulated consumer credit activity.